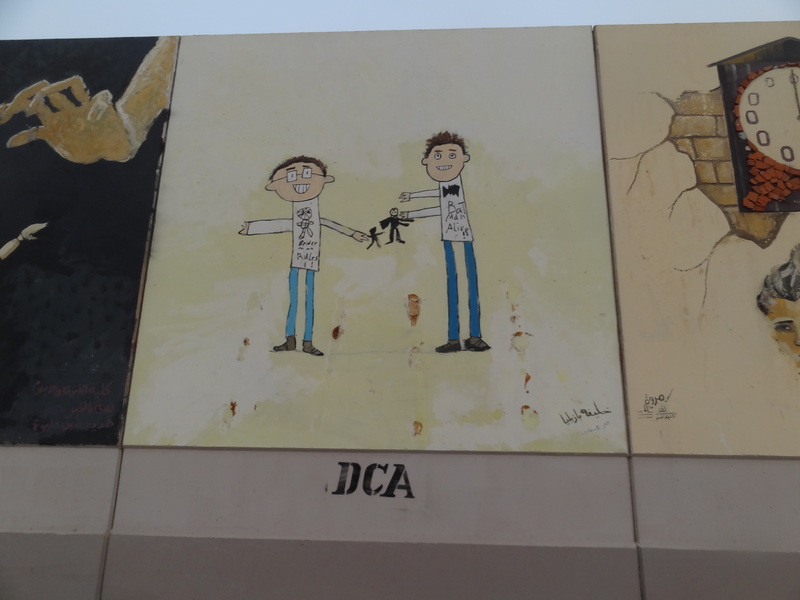 I am cross-posting a blog that I wrote with a colleague on our recent trip to Libya. The blog appeared on the United States Institute of Peace website as part of their “Olive Branch” blog series. It was Oct. 1, and we were midway through an 11-day visit to Libya. Our intent was to nurture the development of rule of law by guiding civic and business leaders, government officials, militia fighters, police, judges, young people and even artists through Justice and Security Dialogues. 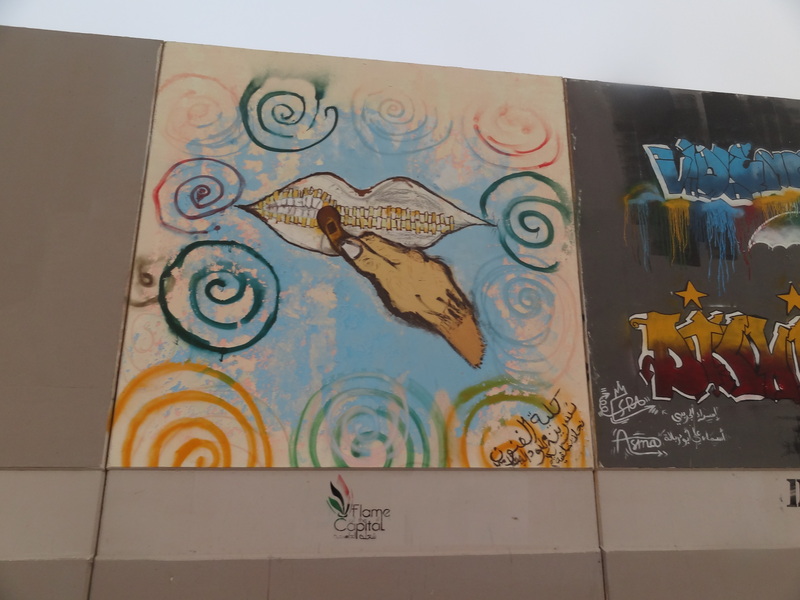 The process empowers communities to create a forum where they can bridge differences and make progress establishing security and justice among all those involved. And then the U.S. government shut down. 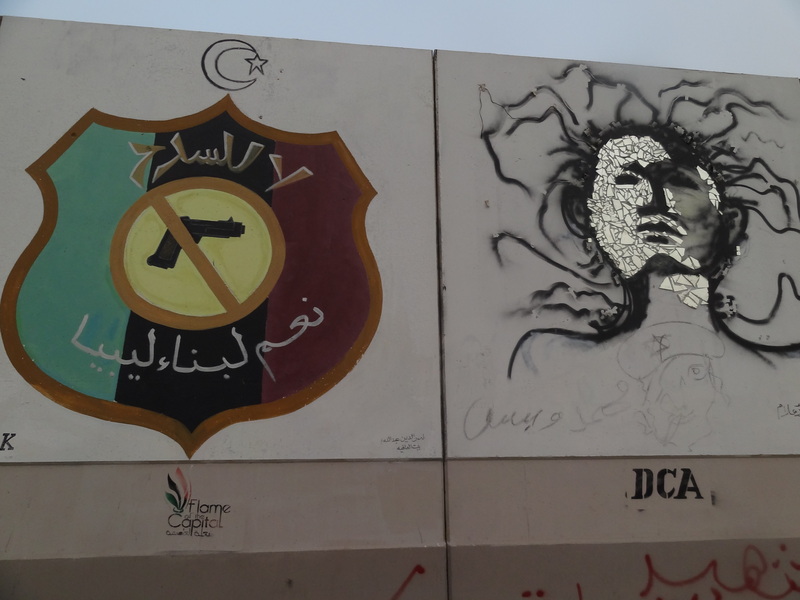 In Libya, representing the U.S. Institute of Peace, an independent, nonpartisan organization funded by Congress, we couldn’t – and wouldn’t – take sides. But the questions started coming: how can the United States government, often seen as a template for democracy, shut down and stop its work? Even with all the chaos, violence, and lack of full central government control, we were told, the Libyan government had not ceased its work. We were also faced with explaining the premise of the dialogues — that communities need to meet and discuss issues to build a peaceful, democratic society — all while our own government appeared to be taking the opposite route. Negotiations in the U.S. Congress, one of the most-admired deliberative institutions in the world, had broken down so severely that federal budget authority lapsed, forcing many government offices to shut their doors and furlough some 800,000 workers. With the implicit hit to our credibility as facilitators and supportive partners, we felt we had to take a step back and reinvest in building trust. First, some background. 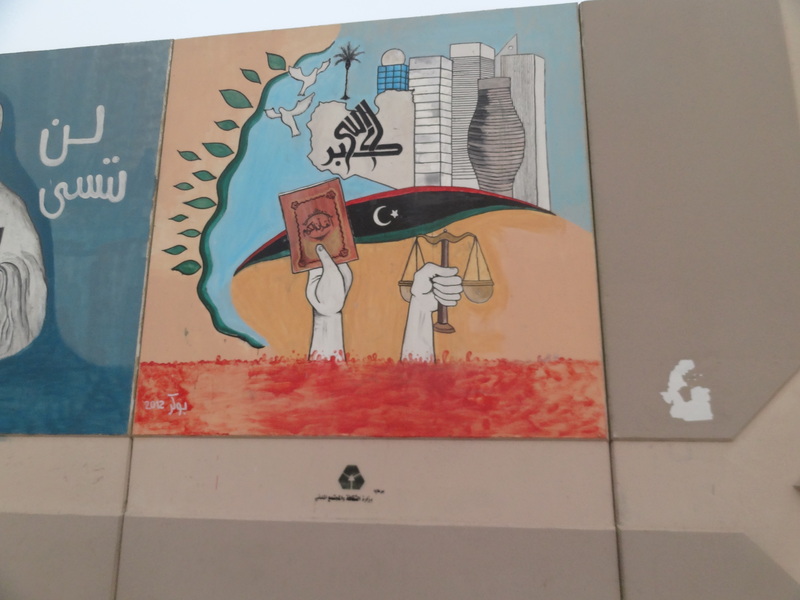 USIP and its Rule of Law program have been engaged in Libya since soon after the ouster of Libya’s longtime dictator, Muammar Gadhafi, in 2011. The program engages in a variety of work, including research, workshops, and the dialogues, to help Libya address the many security issues that hamper its emergence from violent revolution and its transition to an entirely new system based on the rule of law. USIP specialists have criss-crossed much of Libya traveling to the cities hit hardest by the revolution, to remote corners ignored for decades by Gaddafi, and to the various borders with Libya’s neighbors, assessing the country’s prisons, researching intricate challenges of justice and security and offering other expertise wherever we are welcome. Our colleagues have braved firefights and a car bombing and we put ourselves at risk for the cause of peace as a matter of necessity. Developing contacts, trust and engagement in such an unstable environment is a long, arduous and sometimes dangerous process that requires no small measure of finesse, diplomacy, risk-taking and determination on both sides. So it’s not hard to imagine the puzzlement and frustration of our Libyan colleagues when they learned that other USIP counterparts who had been furloughed back in Washington were prohibited by law from replying to e-mail or otherwise engaging in an official capacity while our government was shut down. The two of us had been exempted for the work we were doing in the field. 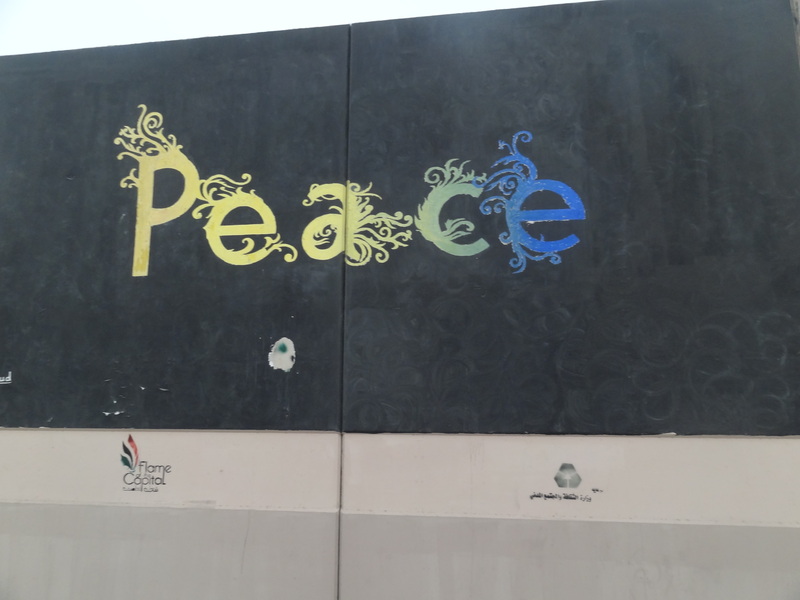 By being there, we were able to explain the unanswered e-mails and maintain the constant contact and relationship-building required to make peacebuilding work. In perhaps a reverse irony, our own government’s challenges ultimately provided us a valuable point of entry for our discussions around Justice and Security Dialogues in Libya. In one dialogue, a town elder walked us through a document that he and others in his shura council had developed with considerable thought and deliberation. But as he presented it, others in the room began to fidget and show signs of unease. The confidence displayed by the presenter was in sharp contrast to some of the others around the table. So we asked the speaker to pause as we asked the others about their discomfort. “We have not seen this document before,” said one of the youths at the table. The elder insisted everyone had been consulted and that he had addressed everybody’s needs. But then another participant said that he also had not been consulted. What we were experiencing was a microcosm of difficulties facing societies and countries the world over. No matter how well-drafted a law or even a constitution may be, at the end of the day, whether people will follow it often depends on whether they feel “ownership.” Until then, it is just words on paper. We have seen many occasions where groups criticize their country’s existing constitution, but what they are really saying is they don’t feel it reflects their own ideas and aspirations. In this group, while everyone agreed that the document was thorough and well thought-out, the process used to develop it was not fully transparent, nor did the process involve all different groups in the community. The elders, meanwhile, felt it was their traditional role to provide such guidance. Moreover, many in the room felt they had been waiting for security for over two years, and opening up the process would delay any potential progress. In the end, people saw the need to include the other elements of their society to ensure buy-in and ownership. They would need to find a way to balance this without having to start anew. Through dialogue, this small group of elders, youth, police, artists, business professionals and others experienced the challenges and benefits of the kind of inclusive process that makes a democracy work. We couldn’t help but think it was a lesson far too often overlooked back home. Colette Rausch is USIP’s associate vice president for governance, law and society. Christina Murtaugh is a USIP program officer for rule of law. On this Christmas Eve, as I reflect back over the past year, a whirlwind of images and feelings come up. It has been an intense year of travel to countries dealing with violent conflict or war, political instability, and economic disparity. Then in my own country, we witnessed a divisive election year, a politically polarized society, ugly rhetoric against people of different races or religious beliefs, and a series of mass shootings including at an elementary school, movie theater, shopping mall and place of worship. We are a world at conflict on the individual, community and nation state levels. We see actors on the world stage who use fear to control people and foster hate and division, pitting one against another. Religion, ethnicity, race, gender, country of origin, are all inflammatory fodder for stirring up emotions of fear and in turn — hate. It’s been far too common to find individuals and leaders using violence for their own agenda and pushing the fear-mongering and hate-mongering buttons to manipulate and coax people into doing their bidding. A survey of the headlines over the past year is enough to make even the most optimistic, despair. We barely have time to acknowledge one tragedy, when another one is on its heels, followed by another after that. But if you look beyond the headlines and politics, struggles for power and control, you still can find those who relentlessly hold tight to the vision of peace and justice and work tirelessly for a better world. It is through their sheer determination and effort that there is ample reason for hope. During my travels in Libya, I met people in Benghazi, Misurata, Tripoli and Zawia who took my colleagues and me into their lives and homes. 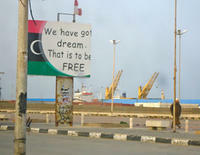 They shared their hopes and dreams for a new, peaceful Libya, free of dictatorship, violence and extremism. I received numerous messages of sincere regret and sorrow immediately after US Ambassador Chris Stevens and three of his colleagues were killed in a terrorist attack in Benghazi. 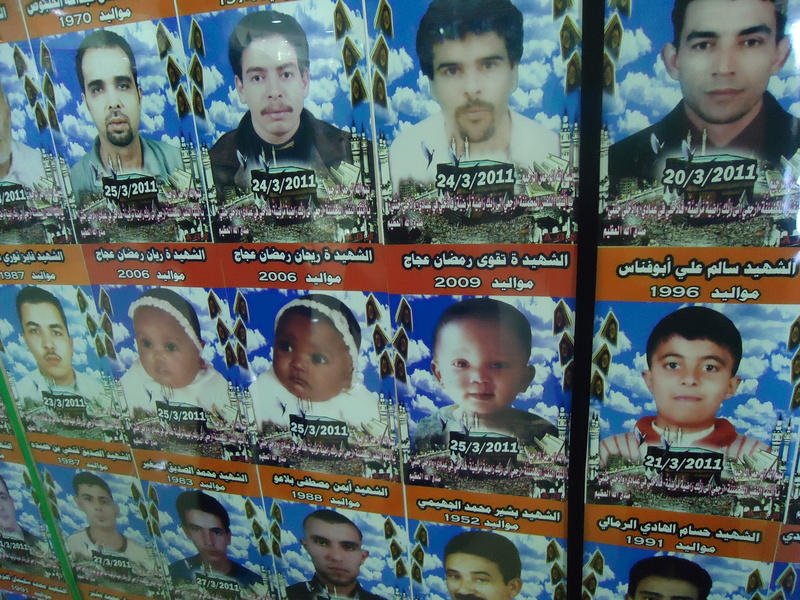 They wanted America to know that these horrible acts were not representative of the vast majority of Libyans. They took to the streets by the tens of thousands to demonstrate as much. While in Yemen, I traveled to Sana’a and Taiz, meeting amazing young women and men who, despite guns being trained on them as they marched, took to the streets to demand a positive government responsive to the people. 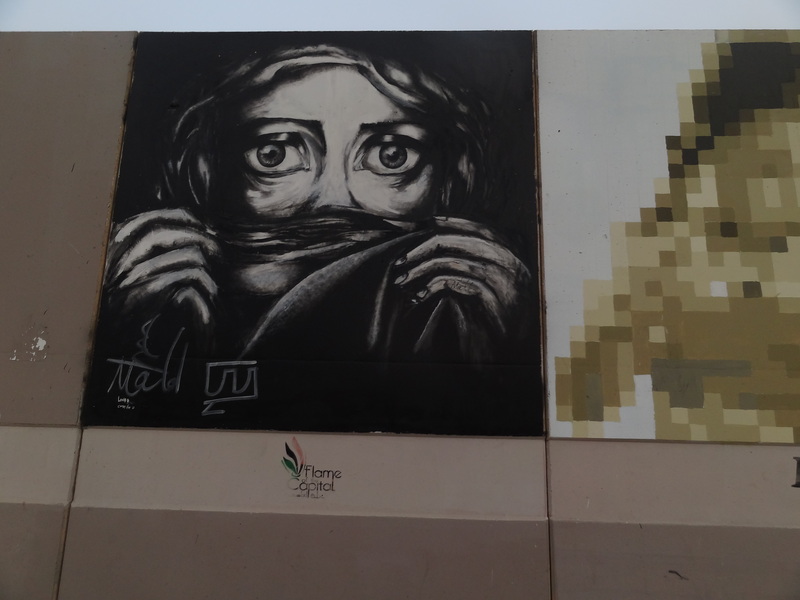 “The youth are Yemen’s hope and future as we have just created a mess,” was a sentiment I heard twice, once from a retired army general and then again from a retired political leader — both frustrated with the slow pace of change and battles for power raging across Yemen and fueling violence and instability. While in Burma/Myanmar and reiterated during subsequent visits to the US by representatives from Burma/Myanmar, I was surprised by the openness of those I met in the government, who, despite having been isolated for many years under the former repressive military regime, were anxious to get caught up on developments related to good governance, rule of law and conflict resolution. Each meeting turned into an invigorating and open discussion of ideas, as we discussed what other countries in transition experience and the challenges they face. In Iraq, I had the honor to meet with dedicated civil society representatives who were earnestly organizing dialogues with police to find ways to solve justice and security challenges facing their communities. In the absence of effective central governance, the citizens and police decided to keep things local and seek common ground and work together. Buddhist monk in Boudhanath. Kathmandu, Nepal. October 2012. While in Nepal, I surveyed the past six years from when I first arrived at the tail end of popular protests that resulted in the King stepping down and re-instating the political process. Despite a very rough period of political instability and violence after the King’s ouster, and the all too familiar charade of political actors stirring violence for their own ends, Nepal managed to end its ten-year civil war, quell ethnic, religious and communal violence and move tentatively forward. Then in my own country, despite the politics of division, the elections resulted in the re-election of the president. 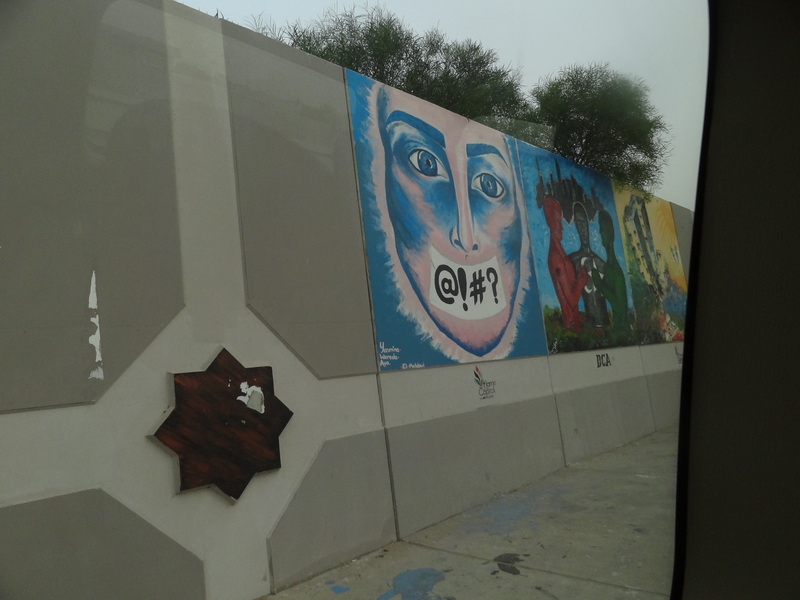 The issue of economic inequality has come to the mainstream and is being openly discussed. The horrific epidemic of gun violence has stirred up a movement demanding action to address its root causes. So as this year draws to an a close, I want to focus on the people and their determined actions that have resulted in cultivating peace against seemingly insurmountable forces and odds, rather than giving way to the divisions and violence so many attempt to sew. If there is one universal lesson my travels have revealed, it’s that when each of us owns our own power and makes a determined stand on principles of fairness, equality and justice, then even the most powerful who employ the formidable levers of division, intimidation, violence and coercion — become powerless. Further, while fomenting divisions can sow violence, building unity and understanding can be powerful steps toward creating a lasting and resilient peace. 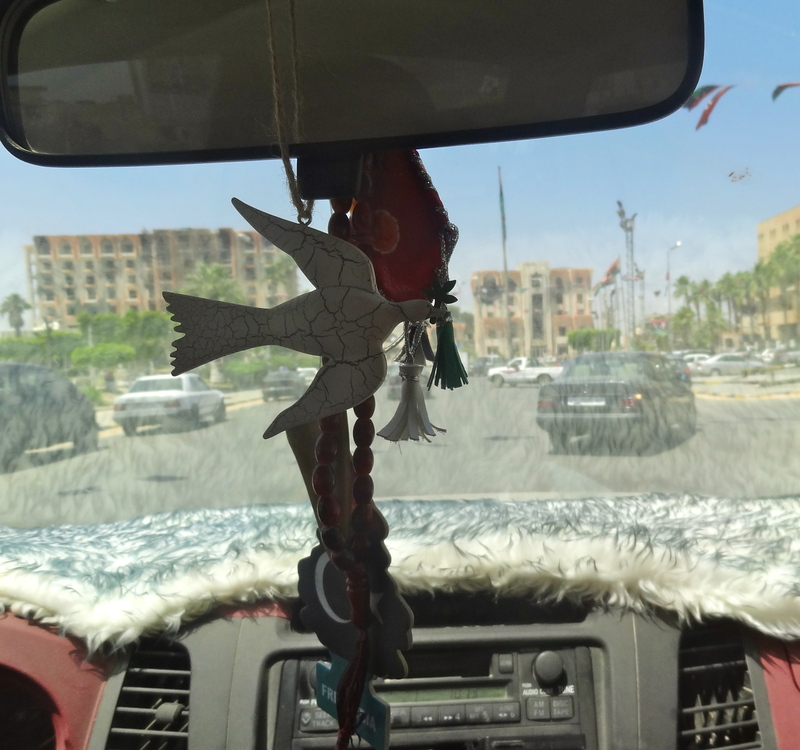 Full of uncertainty, suspicion, and even a little fear, the questioner spoke for some of the Libyan participants at a workshop in the battle-scarred city of Misurata. It was June 2012, and my colleagues and I had come there from USIP’s headquarters in the heart of Washington, DC, to facilitate a workshop on justice and security. We had just introduced our Libyan hosts to the packed two-day agenda that we had planned for them, and we were all taking a short coffee break before getting down to business. We had an agenda, participants, and even refreshments—but, evidently, we did not have trust. Peace is more than just the absence of conflict. Peace is the presence of mutually respectful relationships among individuals and groups. Those relationships enable disputes to be handled with tact, understanding, and a recognition that everyone shares some common interests. At the heart of those relationships is trust. Trust cannot be coerced, delivered, or manufactured. It develops through a process of collective engagement and through a commitment to a common purpose. Where that process is brand new and where that purpose is vague or open to question, trust does not come easily. Which brings us back to Misurata. In the battle between Colonel Gaddafi’s regime and the revolutionary fighters determined to topple it, Misurata was strategically invaluable. Gaddafi knew that if his forces held the city known as Libya’s “business capital” and home to a thriving deep-sea port, he would deny the rebels access both to other parts of the country and to resources from the outside world. Most of the population of Misurata, however, supported the rebels. Gaddafi’s troops bombarded neighborhoods in Misurata, slaughtered hundreds of innocent civilians, and cut off the water supply. But after a four-month-long fight, the rebels, with NATO support, finally ejected the regime’s troops from most of the city in May 2011. Bloodied but proud of their role in defeating Gaddafi’s war machine, the people of Misurata have since demonstrated an unswerving commitment to rebuilding their city and to playing a leading role in renewing Libya as a free country that provides security, justice and the rule of law to all its people. 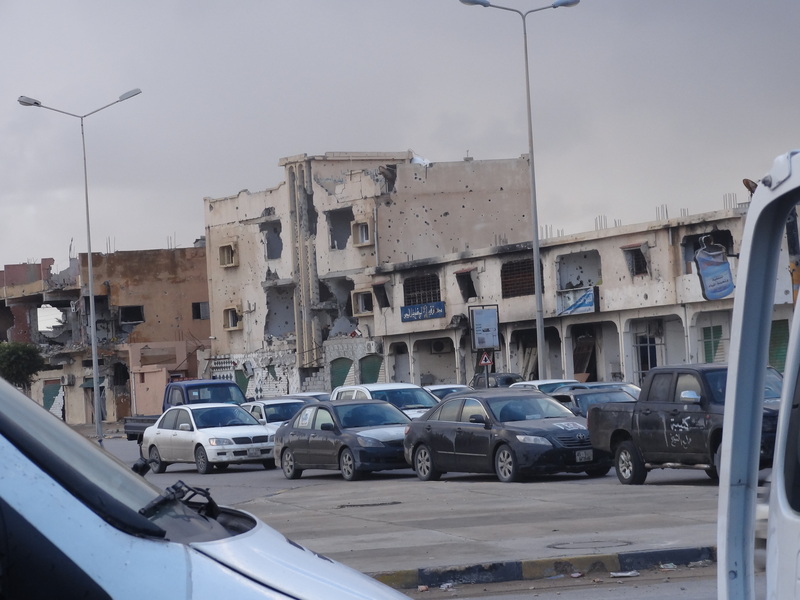 In February 2012, I visited Misurata with my colleague Vivienne O’Connor to scout out the potential needs and challenges facing Libya in its post-Gaddafi transition. After Vivienne and I returned to the United States, we began working with our local partners to organize a workshop on the difficulties of transitioning from an authoritarian society to one based on the rule of law. The participants would include lawyers, judges, local council representatives, business people, civil society representatives and Thuwar (revolution fighters) who were now running the city’s prisons. In June, a small group of us traveled to Misurata to facilitate the workshop, which was entitled “Rule of law, Justice and Security for a New Libya.” We were eager to share our experiences in transitional societies, but we had no thought of insisting that our hosts slavishly follow our recommendations on fostering the rule of law—indeed, we weren’t going to make any recommendations. 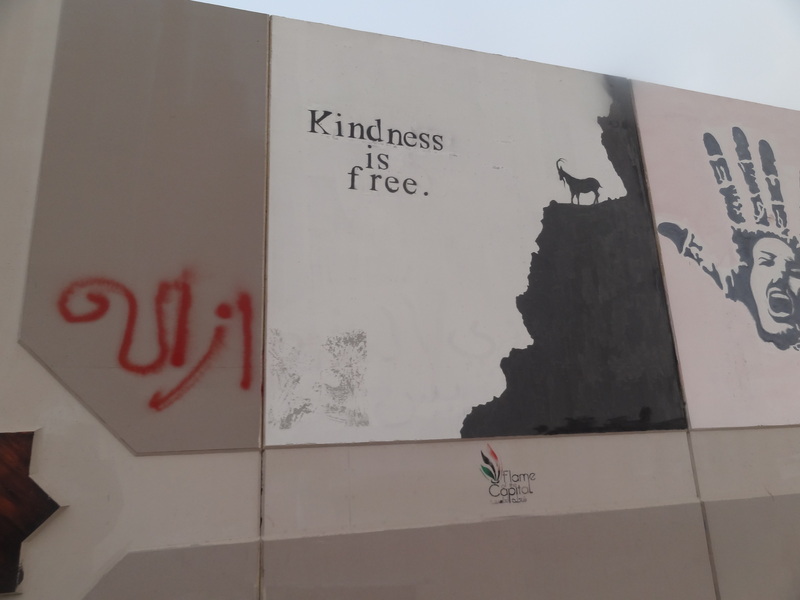 One of the things that sets USIP’s Rule of Law Center apart from similar organizations is that, when we enter a post-conflict society, we ask, “How can we help you? What is it you would like from us?” We do not declare, “This is what you need to do.” We learned long ago that local people must make their own decisions about how to develop security and justice in their own country. If there are areas where our experience and expertise can be of use, we are happy to share them but we never force them upon others. After all, our experience and expertise come from listening to just such people. When we go to a transitional society, we talk about case studies and comparative practices; the locals tell us the problems they face and the lessons they have learned. It is a collaborative process that pivots around shared trust. Any solutions that materialize as a result of our collaboration will be homegrown and tailored specifically to the needs of the local population. Superficially, the question might have seemed to an outsider to be no more than a polite inquiry. Just below the surface, however, lay uncertainty and mistrust. Those sentiments can roil every workshop, especially if they are not identified and brought to the surface. 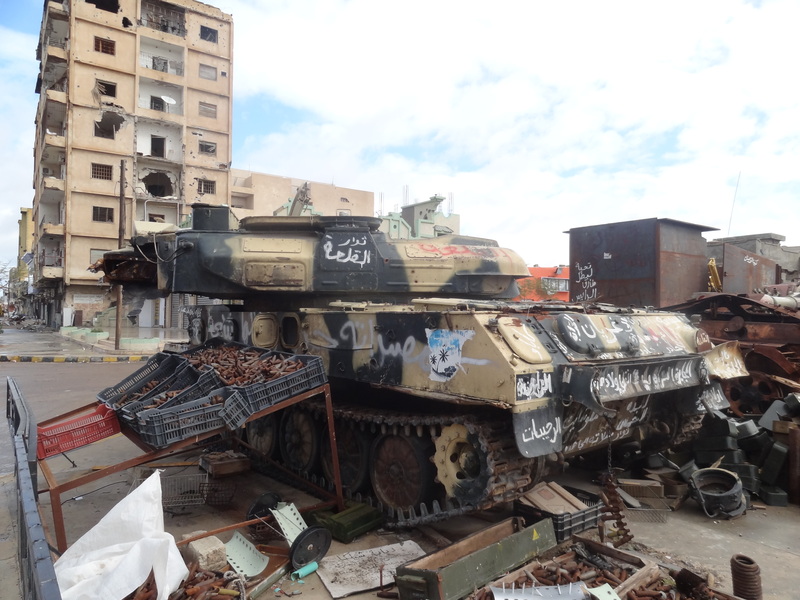 In Misurata, we were fortunate that they surfaced at the outset. They weren’t shared by everyone in the room, but more than a few felt this way, and we couldn’t afford to ignore those feelings. We had to tackle them there and then if the workshop was not to become a meaningless voyage through bullet points and procedures, an empty academic exercise. If we could answer that question “Why are you here?” (and the numerous other questions underlying it), we might connect on a much deeper level, one built on trust, mutual respect, and personal accountability. With that in mind, we set our scheduled discussion aside. Once the coffee break ended, we reconvened the workshop, but we spent the next few hours inviting and answering questions. We stressed that we would answer anything; nothing was off the table, nothing was too sensitive to answer. Had we set some conditions, we would have invited further skepticism from participants. Their queries came in quick secession, some in direct, even blunt language, while others were more nuanced. Libyan tradition insists on extreme politeness to guests, and no one was rude, but everyone wanted honest answers to their honest questions. Those questions covered a lot of ground, and revealed a lot about unhappy past experiences, fears for the future, and uncertainty about the present. Meanwhile, other questions betrayed far too much exposure to international organizations! 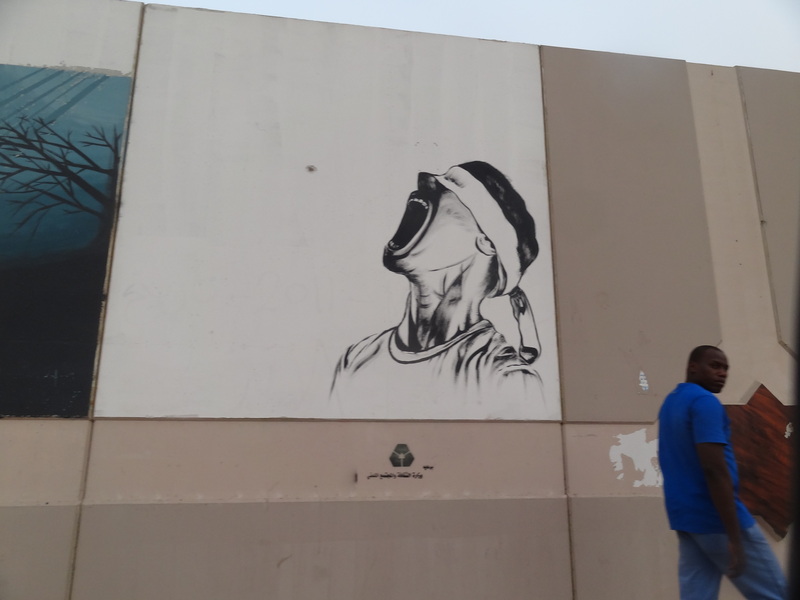 We heard many stories about foreigners coming to Libya to ask about people’s most desperate needs and dearest dreams, and then leaving Libya, never to be heard from again. We heard several other stories about how various international nongovernmental organizations and others had descended on Libya, scratched the surface, appointed themselves as experts on the country, and published articles that bore little resemblance to reality on the ground for the average Libyan. The participants recalled how they had opened their doors to the media and candidly explained the challenges Libyans face, only to have some members of the press use that information to paint a distorted portrait of post-revolution Libya, one full of real problems but devoid of the equally real optimism that is so much in evidence in Misurata. The Libyans had felt betrayed—not so much because the reports were critical but because they were inaccurate or one-sided. One official said that he had given a foreign journalist “access to everything” because the official and his colleagues were eager for help and to learn and abide by international standards. But when the journalist’s report came out, the official felt like he had been “hit in the stomach,” because the article presented things in a very negative light without explaining the challenges facing Libya in its transition. The most pointed questions came from a man who had fought on the front lines against Gaddafi’s forces. He arrived at the workshop wearing camouflage and a facial expression that made me shudder to think about what he had witnessed on the battlefield. It turned out that he had been a businessman and had never imagined that he would pick up a weapon. He had decided, however, that he had no other choice when confronted by the brutality of Gaddafi’s attack and the imminent threat to the lives of his family, friends and community. Participants relayed their frustrations with the outside world, which seemed to expect perfection from the very beginning of the new Libya. They admitted, too, that after 42 years of dictatorship, Libyans were feeling their way through the transition to democracy and would inevitably stumble from time to time. 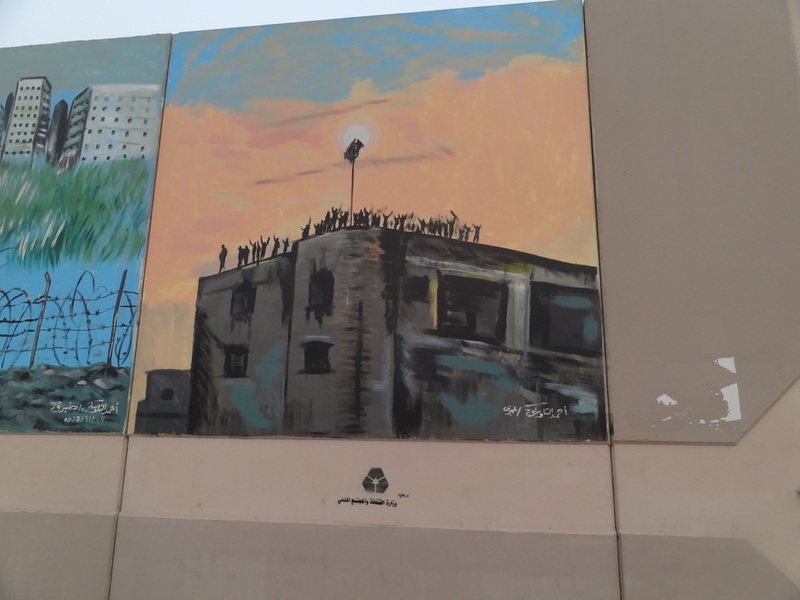 Gaddafi’s own summary execution at the hands of a lone vigilante showed just how difficult it is to apply the rule of law when tensions are so high, emotions are still raw, and everything is still in flux. At the same time, the participants wanted Libya to be seen as a country that is moving beyond the Gaddafi era and toward a democratic future. 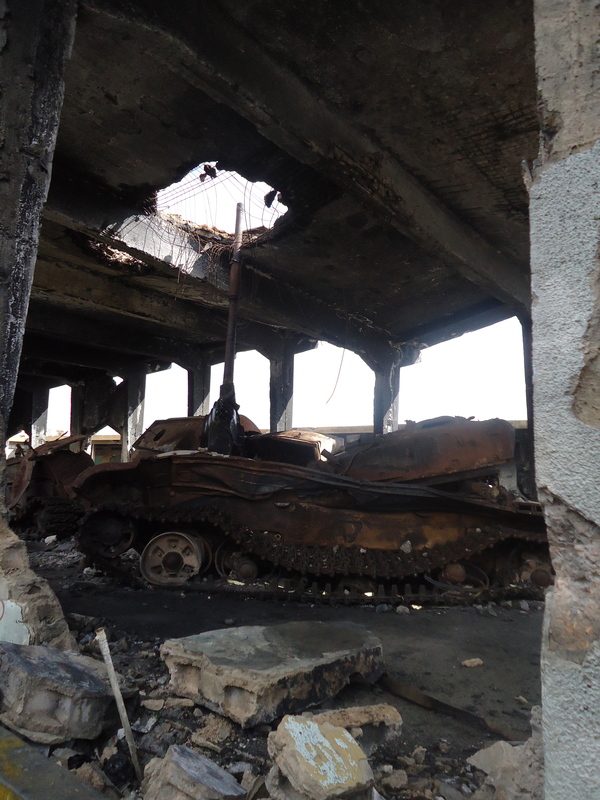 Several questioners asked how the West and the international community as a whole view Libya. We took each question, and did our best to provide answers that were not only honest but also full. We offered contextual background, explained how USIP operates, related personal experiences, and acknowledged geopolitical realities. After two hours or more of this sometimes difficult and delicate but always enlightening and sincere exchange, one could feel the tension in the workshop begin to subside, the air begin to clear. When every question had been answered, we moved naturally into the rest of the workshop. 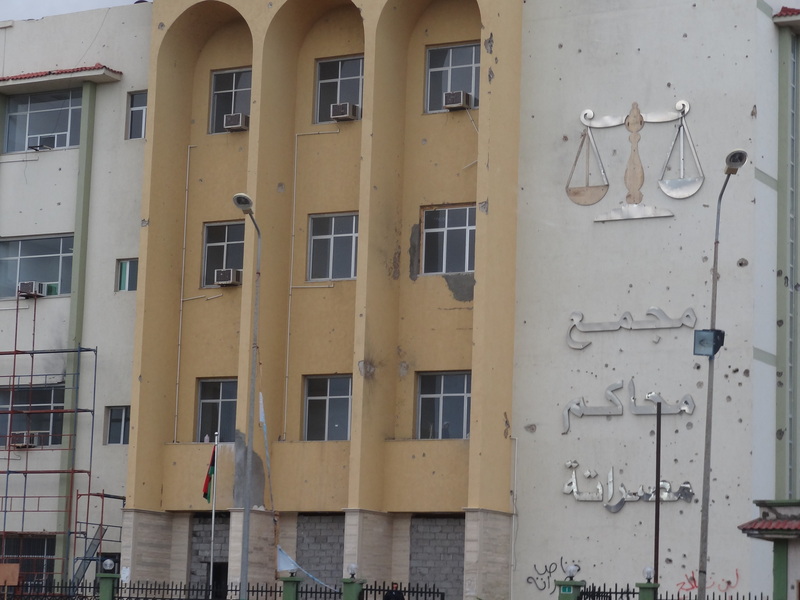 The workshop was on ‘Rule of law, Justice and Security for a New Libya.” It brought together 20 representatives from the legal community (prosecutors, judges and lawyers) and civil society. 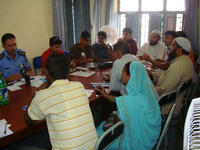 The workshop involved capacity development and facilitated dialogue. Presentation topics included “Justice and Security and the Rule of Law,” “Justice and Security Challenges in States in Transition,” and “Building Justice, Security & the Rule of Law: Examples of Successful Initiatives from Other Countries” (with a specific emphasis on how civil society can actively engage in promoting the rule of law in tandem with government efforts). For the facilitated dialogue component, the participants were asked a series of questions on the challenges and solutions to justice and security issues in Libya. They then broke into groups to discuss these and presented their findings in a plenary session. Over the rest of that day and throughout the next one, many potentially useful ideas and opinions were exchanged. 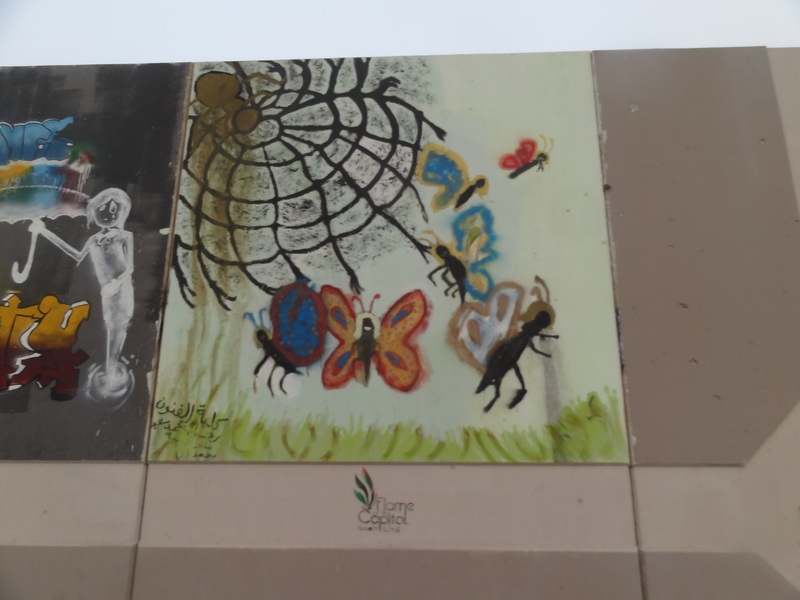 Participants shared their thoughts freely, with little or none of the caution and apprehension they had displayed at the outset of the workshop. 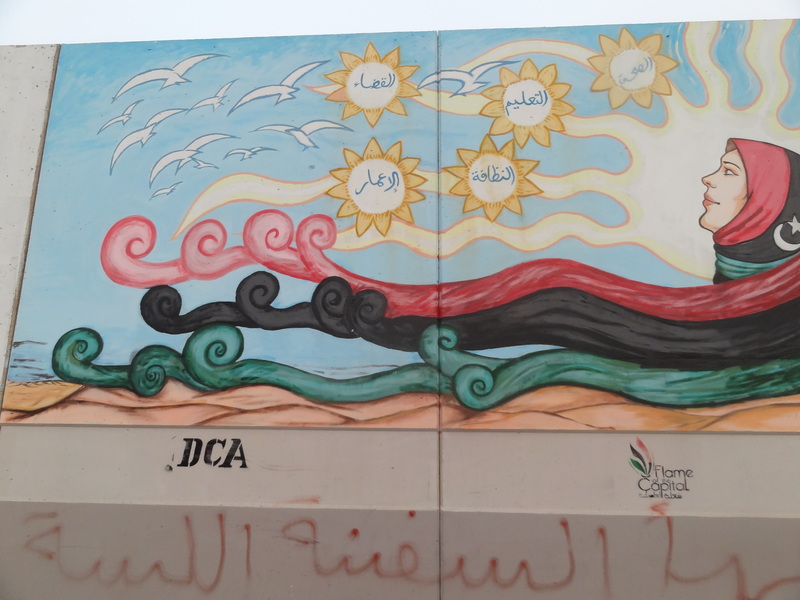 In Misurata, we went some way toward bridging the gulf that had divided us. We did not bridge it completely or permanently; we could hardly expect to establish an enduringly close rapport in just two days. Trust takes longer to flourish, and it needs to be nurtured. But we laid a foundation that was able to support two days of discussions and learning and to nourish hopes of further sharing in the future. In the end, none of that progress would have been possible had one participant not asked the question that brought into stark relief the importance of building the one thing that is often the hardest to come by following violent conflict: trust. 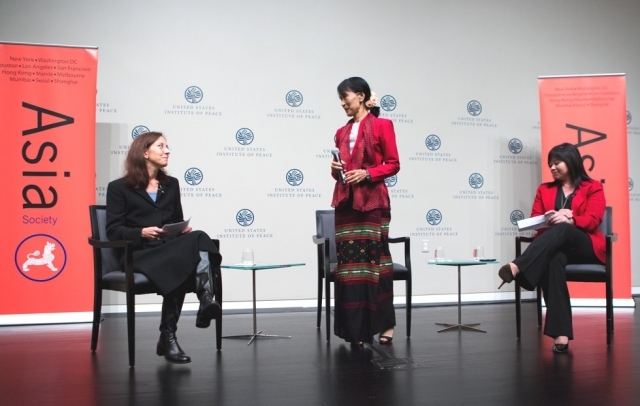 It was such an honor to meet Daw Aung San Suu Kyi last week and co-moderate the question and answer session that followed her remarks at the United States Institute of Peace (USIP). She is an inspirational woman who epitomizes the strength of peace, tolerance and dignity. I was most struck by her comment that it is when we seek to help others, that we have the chance to help ourselves. In essence, she was saying that when we endeavor to help others, it gives us the opportunity to shine a mirror and reflect upon ourselves, and where we can strive to improve ourselves, in the process. Longtime democracy champion Daw Aung San Suu Kyi, appearing at the U.S. Institute of Peace (USIP) on September 18 at the beginning of a 17-day visit to the United States, called for continuing U.S. support on behalf of the Southeast Asian nation’s transition to democracy and for a further easing of the U.S. economic sanctions that remain in place following decades of military dictatorship. Suu Kyi, who is now a member of Burma’s parliament and chair of the opposition National League for Democracy (NLD), thanked Americans, “who have stood by us through our hard years of struggle for democracy,” and sketched out the challenges remaining to “rebuild our nation in a democratic mold.” She cited as reform priorities establishing the rule of law across Burma’s executive, legislative and judicial branches; ending the country’s ethnic conflicts with a commitment to mutual respect and human rights; and instituting amendments to Burma’s constitution. The event was jointly sponsored by USIP and the Asia Society, the lead partner in USIP’s initial efforts to assist Burma in its political transition. The Institute is working with the Asia Society and the Blue Moon Fund to share information and experiences on issues identified by Burmese related to the rule of law, religion and peacemaking, democratic governance, conflict resolution and the capacity of Burma’s media to promote conflict-sensitive approaches. Suu Kyi was welcomed by USIP’s new president, Jim Marshall, and by Henrietta Fore, the Asia Society’s co-chair. She also accepted the 2011 Global Vision Award from the Asia Society after her address at USIP. Secretary of State Hillary Rodham Clinton, who met with Suu Kyi at the State Department earlier in the day, called the event “an extraordinary, auspicious occasion” and introduced Suu Kyi as “someone who has represented the struggle for freedom and democracy, for human rights and opportunity, not only in her own country but seen as such around the world.” Suu Kyi spent most of the past two decades—until late 2010—under house arrest as the leader of Burma’s leading democratic opposition party. “Suu Kyi’s courage and moral leadership never wavered,” Clinton said. Suu Kyi acknowledged the difficulties that remain. “We are not yet at the end of our struggle but we are getting there,” she said. USIP this year has hosted Track II-style dialogue sessions on Burma’s political transition out of authoritarianism with representatives of the Myanmar Development Resources Institute (MDRI), senior advisers to Burmese President Thein and U.S. experts. Institute specialists in the areas of rule of law, inter-religious coexistence and media development have also met in Burma with Burmese in and out of government to assess where USIP might provide democratic transition assistance, and its Academy for International Conflict Management and Peacebuilding has started training Burmese specialists participating in courses on governance, building institutional capacity, economic reconstruction and addressing societal trauma from conflicts. Suu Kyi’s trip will include meetings with other U.S. officials and lawmakers, journalists, university audiences and Burmese American communities. In addition to Washington, D.C., she is scheduled to visit New York, Kentucky, Indiana and California. On September 19 at the U.S. Capitol, she will receive the Congressional Gold Medal. It was awarded to her in absentia in 2008. After decades of stagnation under military rule, Burma/Myanmar finds itself in a particularly fluid and fragile transition. Daw Aung San Suu Kyi has been at the fore of her country’s transition, helping reshape its political development path. Aung San Suu Kyi returned to Burma/Myanmar from Britain in 1988 to care for her mother. Shortly after, she became leader of the largest uprising in Burma/Myanmar’s history. In 1990, Suu Kyi’s party, National League for Democracy (NLD), won Burma/Myanmar’s first free elections in 30 years by a landslide. The country’s military junta refused to cede power, and Suu Kyi was forced into house arrest for nearly 15 years. During this time, she remained the Chairperson and General Secretary of the NLD and continued to push for justice and sound rule of law. She was awarded the Sakharov Prize for Freedom of Thought in 1990 and the Nobel Peace Prize in 1991. In 2011, a new, quasi-civilian government took power and boldly began to implement democratic reforms, which continue today. This April, Aung San Suu Kyi was elected into Burma/Myanmar’s parliament and continues her work to transform her country into a just and democratic state. In her first visit to the United States in more than 20 years and her first public event, the United States Institute of Peace and the Asia Society were honored to host Daw Aung San Suu Kyi for an engaging discussion on the democratic transition in Burma/Myanmar, the challenges that lie ahead, and the potential for a promising future. Together with our partner the Asia Society, USIP hosted representatives of the Myanmar Development Resources Institute (MDRI) and legal advisers to Burma’s president to Washington, DC. 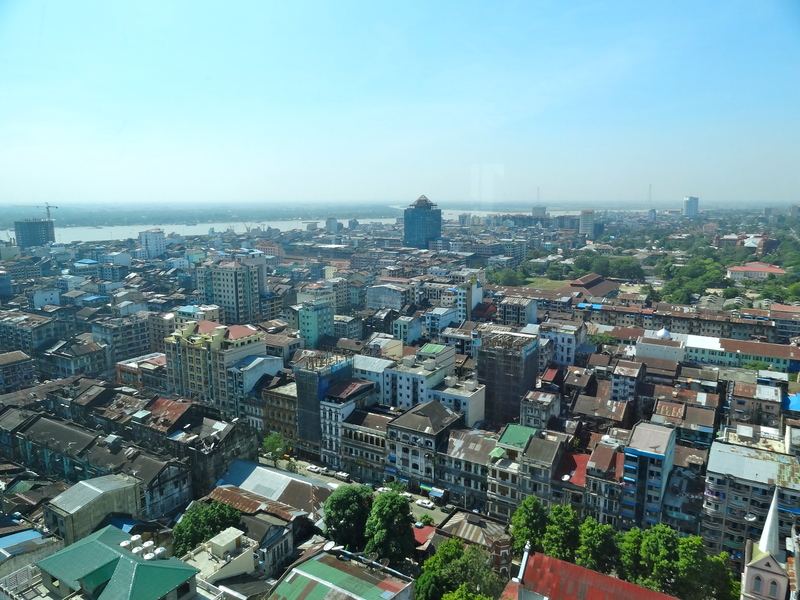 Their visit was part of an informal dialogue process between experts from the U.S. and Burma to explore opportunities to advance relations between the two countries. In addition to learning about issues related to the rule of law, the Burmese delegation was keen to understand the hallmarks of our democratic system of governance, forged over 200 years. 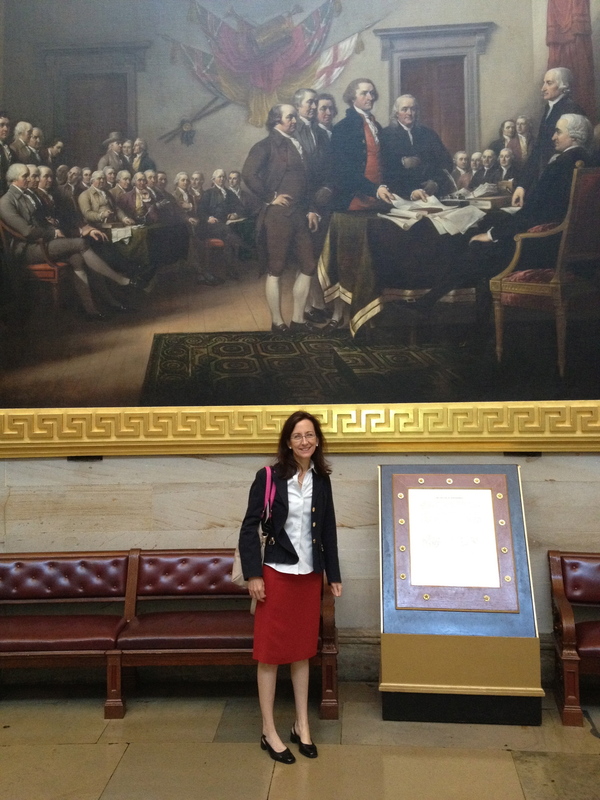 As part of that exploration, the delegation visited the U.S. Congress. As we walked the Capitol’s hallowed halls, I found myself reflecting on our history and the principles that our country was founded on. As director of the Rule of Law program at USIP, I have always held closely the principle that we are a “nation of laws, not of men.” As I stood in the rotunda surveying the paintings depicting different stages of our nation’s development, I found myself in awe of our system and reflecting on the foresight and vision of our founders. During our visit, we met with a group of congressional staffers from both sides of the aisle who answered questions our Burmese delegation posed to them. They were just as eager to learn first-hand about developments in Burma as the Burmese were to learn from them. I had wondered how the current example of our country’s partisan divide would be perceived by our Burmese guests. As if reading my mind, one of the congressional staffers pointed out the fact that ours is a system where tension and differences between ideas is nothing new, and, in fact, built into our democracy to ensure fairness, thoughtful debate and cautious deliberation. One staffer told us how it took him some time to adjust to the duality of cooperating with a colleague across the aisle on one measure and then having to oppose him or her on another – in the same day. And to prevent tyranny, our government has been divided into three equal bodies, none supreme over the other – their shared goal to not create a perfect union, but a “more perfect union.” The Burmese delegation was particularly interested in how the balance of power worked in practice between our three branches of government. As part of their visit to Congress, the delegation was invited to sit in the first row of the confirmation hearing of Derek Mitchell, the newly appointed U.S. ambassador to Burma. Here, the Burmese were able to witness first hand our bi-partisan congress in action, as senators expressed common wishes for the success of Burma’s embrace of democracy, and the varying and occasionally opposing perspectives from which each party viewed Burma’s democratic transition. I was grateful for the opportunity to experience our democracy through the eyes of the Burmese legal advisers as they set out to create a new system of governance based in part upon the lessons from their visit. If there was one lesson the Burmese came away with that day – that we’d be wise to never lose sight of ourselves – it is that democracy is a process and a journey, and not a single culminating event. Colette Rausch is the director of USIP’s Rule of Law department.